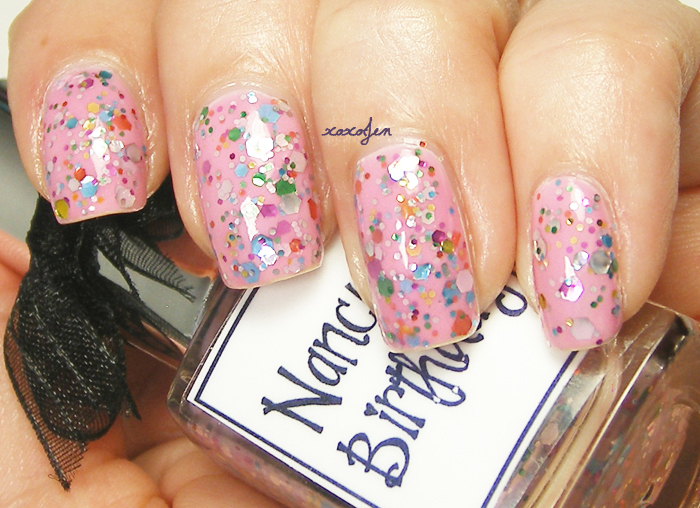 Nancy's Birthday from Whimsical Ideas by Pam is such a fun and festive color! I thoroughly enjoyed wearing it this week. 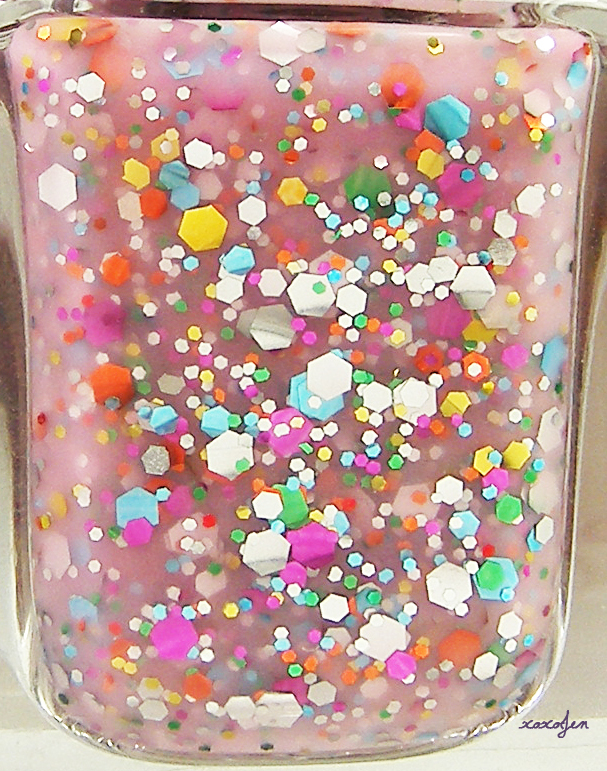 Just look at the rainbow of confetti in the girly pink base! Wait, take a closer look! First with gloss - a huge hit at work! My hand was grabbed a few times so they could have a better look! 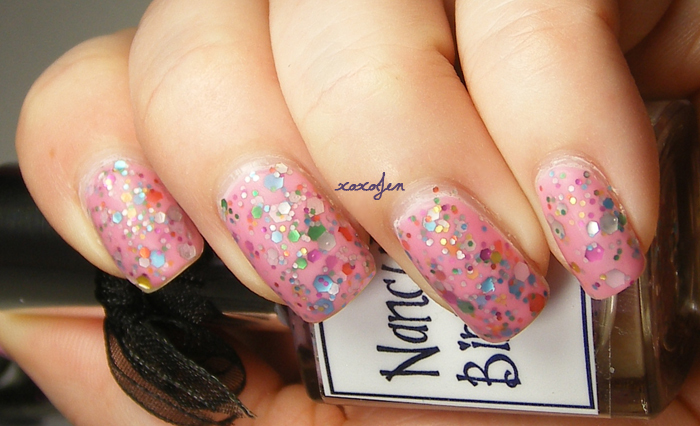 This is two coats of Nancy's Birthday over two coats of I Believe In Amour from Color Club, the perfect match! And of course I topped it with matte top coat near the end of the week! Pam tells me that this polish is named after her favorite sister, isn't that sweet!? You can get yours and more at Whimsical Ideas by Pam's Facebook page.